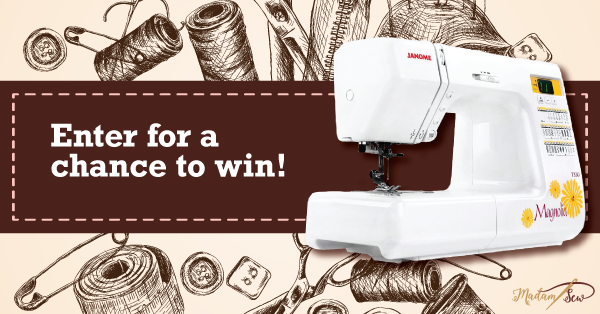 Simply enter your details below to be in with a chance to win this brand new Janome Magnolia computerized sewing machine. 6. There is no entry fee and no purchase is required to participate in this competition. 7. This competition is in no way sponsored, endorsed or administered by, or associated with, Facebook, Twitter, Instagram or any other Social Network.